DOCTOR WHO: Stories From The Scrapheap - THE SON OF DOCTOR WHO | Warped Factor - Words in the Key of Geek. Christopher Morley looks at another unmade Doctor Who adventure, this time family matters in The Son of Doctor Who. We all know the Doctor has had numerous family ties- his first travelling companion having been his granddaughter Susan ( An Unearthly Child,) his ' generated anomaly' daughter Jenny ( The Doctor's Daughter) etc. 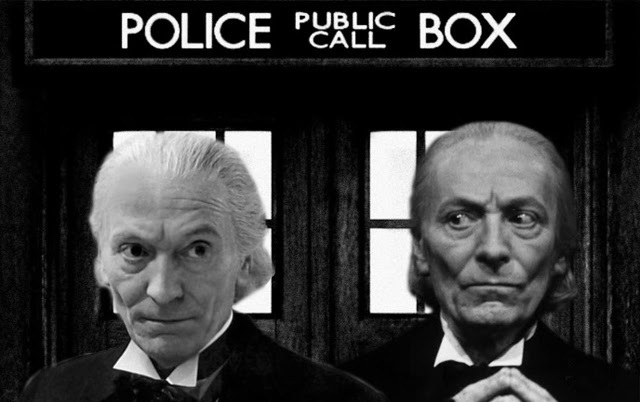 But had William Hartnell had his way we might have seen The Son Of Doctor Who! The idea seems to have been floating around almost since that first episode went out on November 23, 1963- but somehow it failed to see the light of day. Spice would have been added should sonny-boy have returned at a point before Susan's departure in the final act of The Dalek Invasion Of Earth seeking a family reunion! 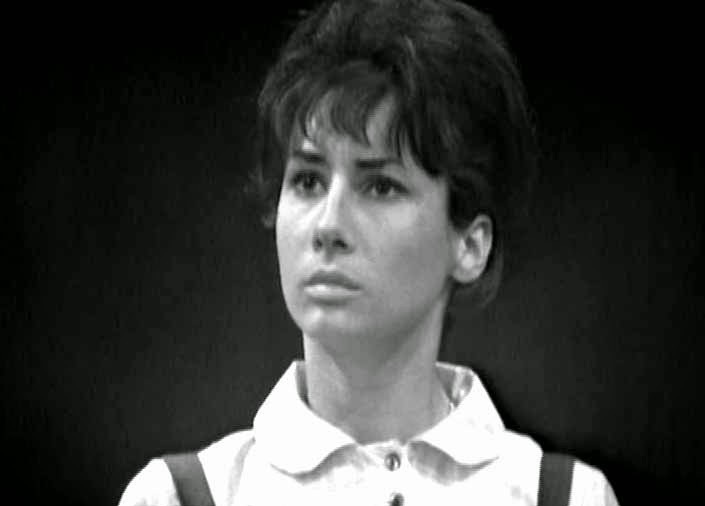 'At one time (in late 1964) I thought we might extend the series and I suggested giving the Doctor a son and calling the programme The Son of Doctor Who. The idea was for me to have a wicked son. We would both look alike, each have a TARDIS and travel in outer space. In actual fact, it would have meant that I had to play a dual role when I `met' my son.'. Simple enough, no? And in fact he would go on to play a dual role of a very different kind in The Massacre, as both the Doctor & the Abbot of Amboise. It seems the Lady was a high-ranking Time Lord whom the Doctor rescued from quite some trouble in the constellation of Kasterborous. The Cartmel Masterplan created for the Seventh Doctor in an attempt to restore a little mystery presents yet another possible narrative for Susan, too. Completing the hat-trick, we have Lungbarrow. With Seven quite literally revisiting his past, its implied that Susan was the last naturally conceived child on Gallifrey before the Pythia cursed the Time Lords into sterility- necessitating the creation of the Looms to ensure the survival of the race. The Other ( the Doctor before he became the Doctor, if you believe the Cartmel crew) is believed to have thrown himself into a Loom after he turned against the vision he initially shared with Rassilon & Omega, emerging in a new incarnation who would become known as the First Doctor. Susan still recognises the new man as the grandfather who'd initially sent her off-world. How did they leave together? Stealing a TARDIS! Helped by a version of Clara Oswald, too, if you take The Name Of The Doctor at face value. Spin-off novels & audio plays, perhaps most notably The Beginning, Frayed & A Big Hand For The Doctor greatly expand on what happened before they met Ian Chesterton & Barbara Wright. But why didn't The Son Of Doctor Who make it to the screen? Perhaps Sydney Newman was already starting to have doubts over Hartnell's ability to keep up with the demand of Doctor Who. He would last another two years in the role before bowing out in The Tenth Planet, to be replaced by Patrick Troughton as the Second incarnation- about as different from Bill's portrayal as it was possible to be. Where he had been a rather stern figure, the ultimate space-grandad, before developing a little more humanity ( perhaps influenced by his companions), he would become what Newman had described as a ' cosmic hobo'. Whether his ' son' would have undergone a similar ' renewal' in order to become a recurring villain isn't known. Of course, the Doctor has retained memories of his family throughout his lifetime. And with the rediscovery of Gallifrey at the climax of The Day Of The Doctor, it could be said that the door is open for the introduction of more of them should his Twelfth & newest self ever actually return home ( whether that be during Series Eight or beyond). So he could actually still be both a father & grandfather, the Ninth Doctor having told Doctor Constantine that he had been, once. Back then he hadn't known the true outcome of the Time War, believing that he'd committed double genocide against his own people & the Daleks. Seeing him reunited with them after so many years away could be quite something if Steven Moffatt & the other writers deem it worthy of inclusion. Certain details relating to Series 8 do make you question if indeed that could be the case, too! We already know Clara is holding down a job as a teacher at Coal Hill School, with her colleague Danny Pink joining she & Twelve on their travels in the TARDIS at some point. “People look at them now and, understandably, mock the bargain-basement monsters, and the accidents and collisions that came from having virtually no time in the studio to shoot fantastically ambitious stories. But those old shows were only made to be watched once, on a flickering monochrome telly that smelled of valves and furniture polish. Now then, who can say fairer than that?